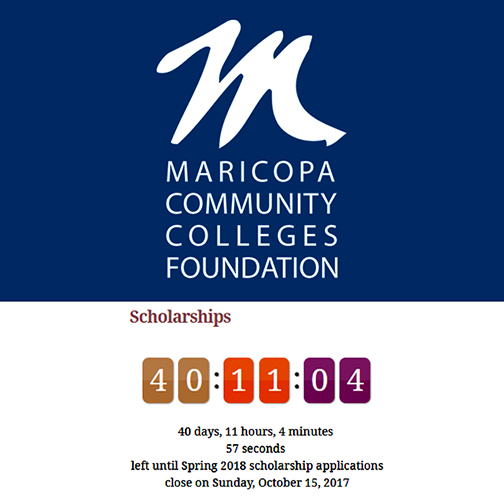 It's time to apply for Maricopa Community Colleges Foundation scholarships! Spring 2018 applications are being accepted Sept. 1-Oct. 15, 2017. The streamlined process, which only requires one general application, will make it well worth your time! The few hours you spend on a scholarship application will be well worth the investment, at the very least, a good learning experience and practice at mastering the application process.